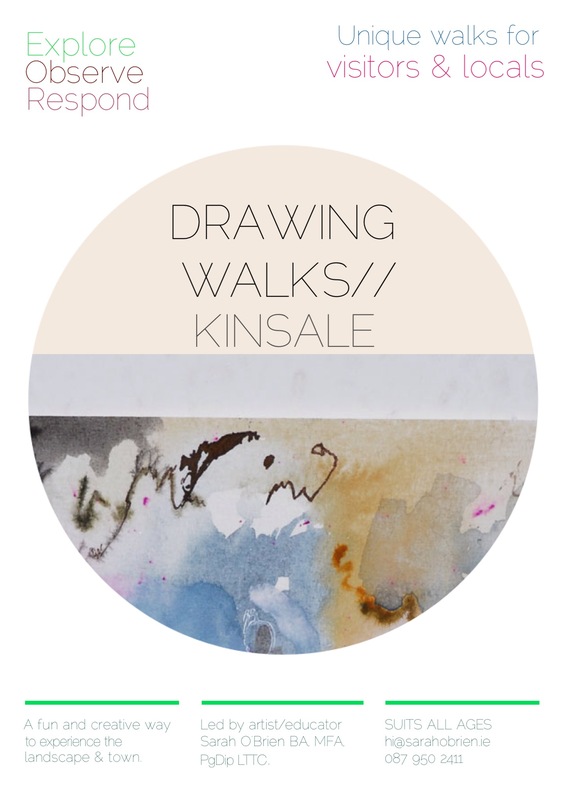 Gentle walks incorporating contemporary drawing approaches in the landscape and architecture of Ireland. Walks tailored for you and your group. 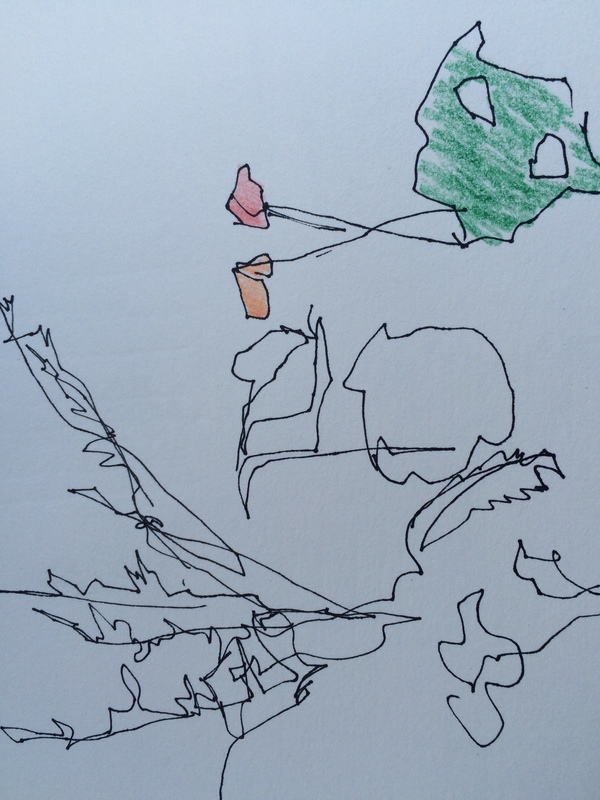 DRAWING WALKS// was founded in 2015 by artist and educator Sarah O’Brien. 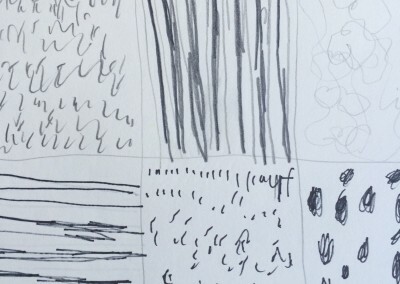 DRAWING WALKS// combines methodologies favoured by Sarah in her studio and her experience teaching in different educational settings, focusing on energetic mark making/drawing. 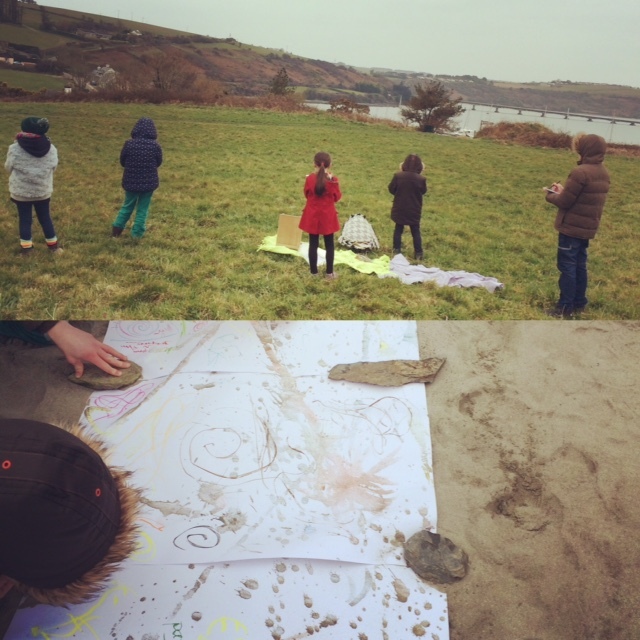 DRAWING WALKS// encourage individuals to ’Explore, Observe and Respond’ to their environment. 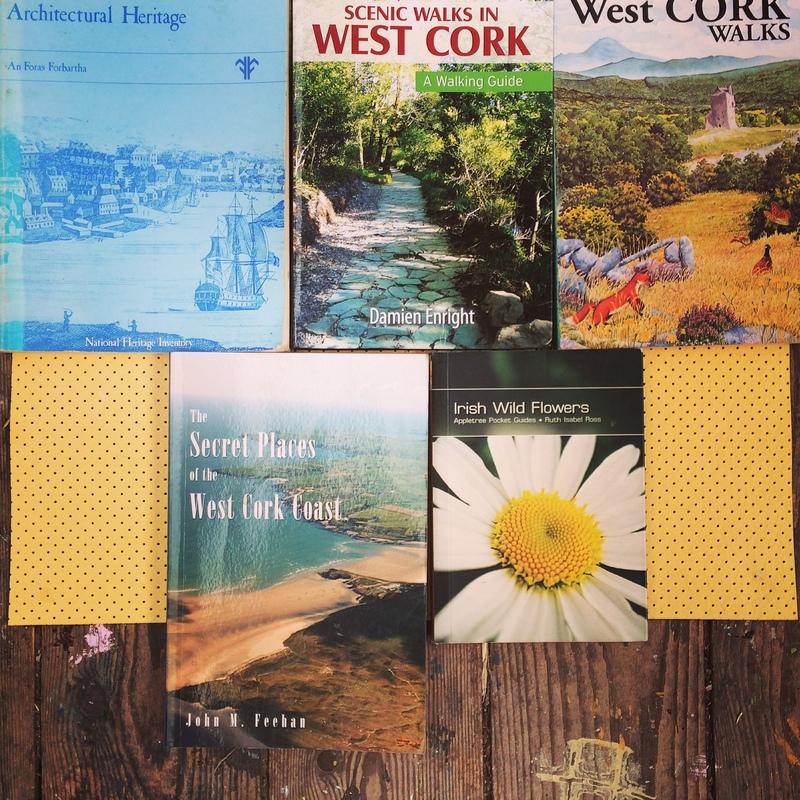 With a fair dash of local history and folklore, the walks are intended to be personable and engaging. 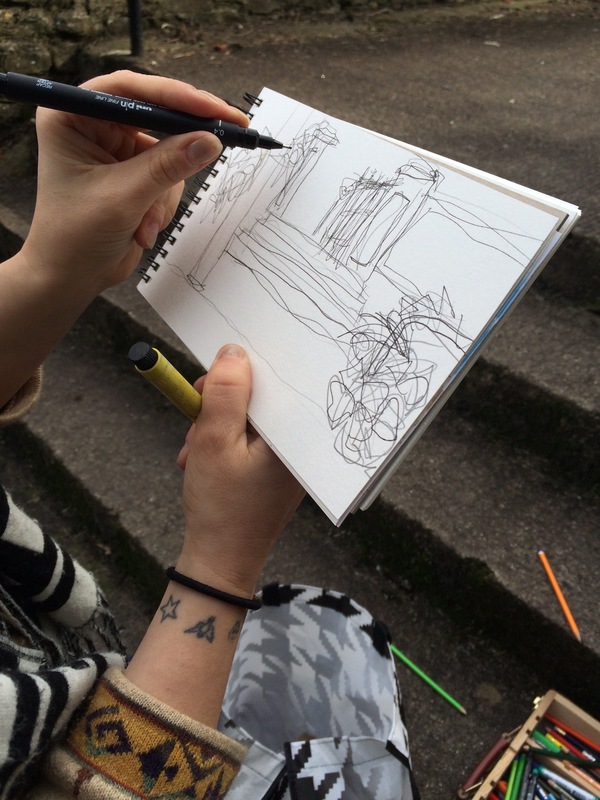 DRAWING WALKS// are designed to your specifications and can range from rigorous to relaxing. 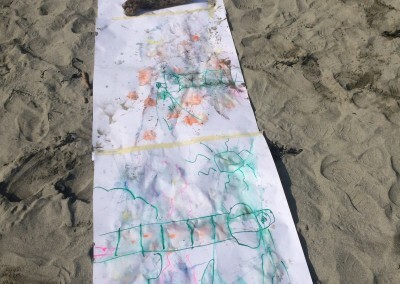 DRAWING WALKS// suits all ages from 6 years upwards and can be arranged for private birthday parties, visiting parties, students, artists, and novices! 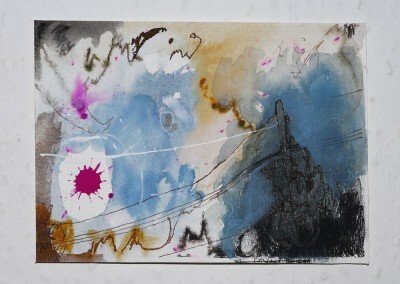 Sarah holds MFA (Painting) from National College of Art and Design, (Dublin) and a PgDip in Teaching and Learning Technology, (Dublin Institute of Technology). 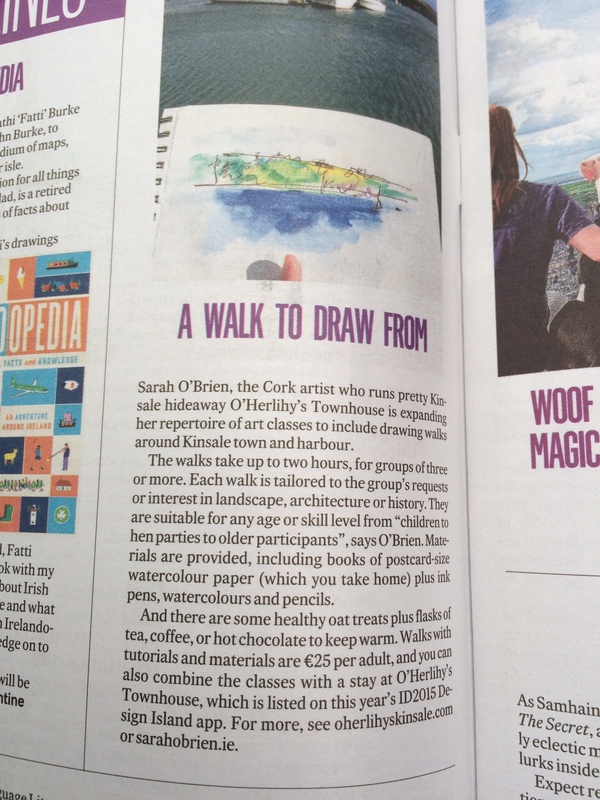 She is passionate about Irish landscape and architecture and taking people for sketching/painting walks makes lots of sense to her! 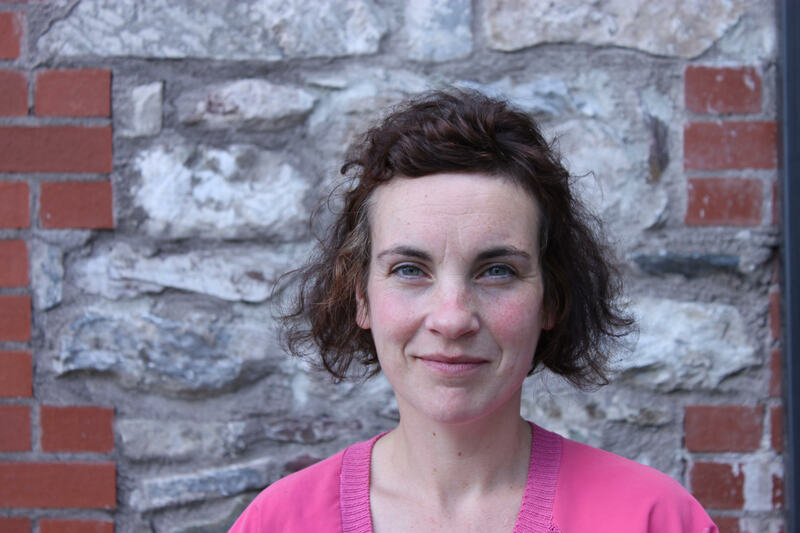 Sarah has worked in different educational contexts facilitating workshops for young school children, adults and all kinds of learners. 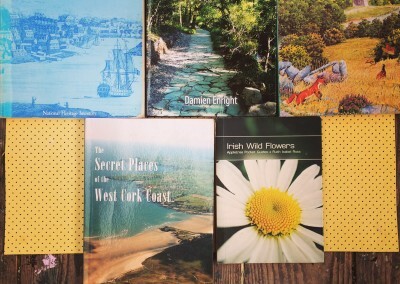 She has worked on the education team at Dublin City Gallery, The Hugh Lane, West Cork Arts Centre, Lewis Glucksman Gallery, UCC and contributed to Fine Art Degree courses in Dublin and Cork. 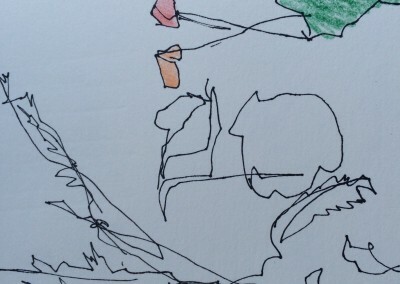 Since 2006 Sarah has delivered a drawing module to students of Landscape Architecture at University College Dublin; this work contributed and inspired the genesis of DRAWING WALKS//. Sarah exhibits regularly and has been recipient of awards from The Arts Council of Ireland, Cork County Council, Dublin City Council and The Royal Hibernian Academy. 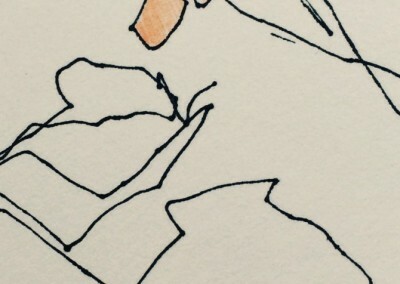 What is a DRAWING WALK//? 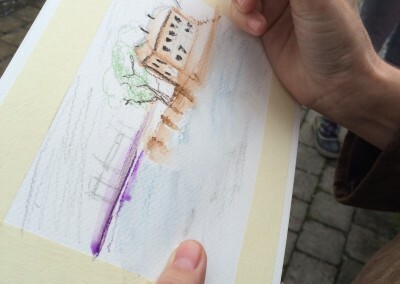 Think gentle walking tour in a beautiful setting…with sketchbooks, pencils, ink and watercolour pencils. 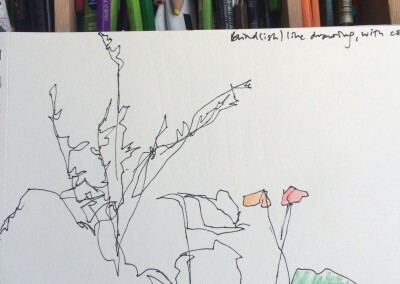 The focus is on mark-making and Sarah will guide you and your group through the many ways to achieve fast, responsive drawings and marks in your sketchbook. 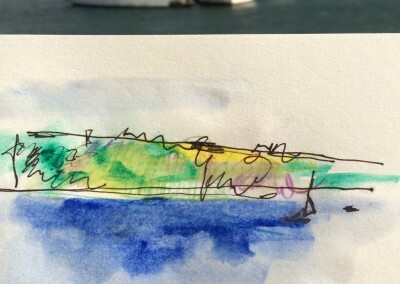 Sarah believes in the individual draw-er in everyone and there is zero pressure to produce legible drawings that look like landscapes. 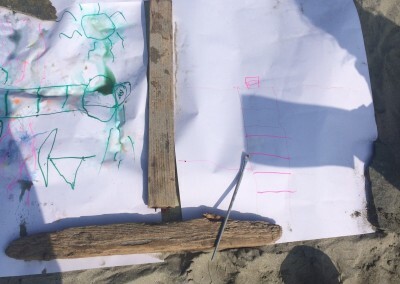 The walks do not focus on producing one sustained drawing but endeavours to give participants the confidence to draw with instinct and speed. 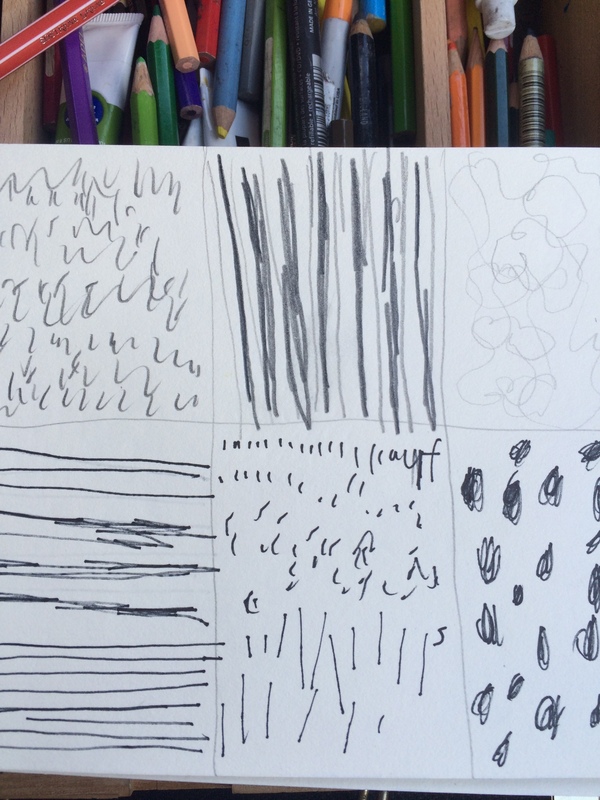 Using experimental drawing techniques the outcomes are often fun, loose marks that are raw and communicate the feeling of the environment; perhaps more than the exact look of it. 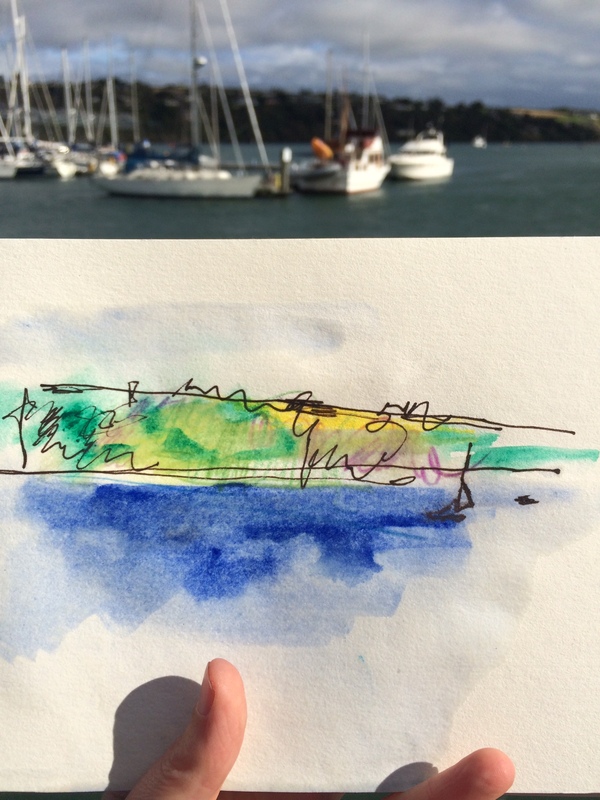 This distinguishes the walks from most other painting and drawing activities in the outdoors as its very much on the move and responding with drawing in the moment. 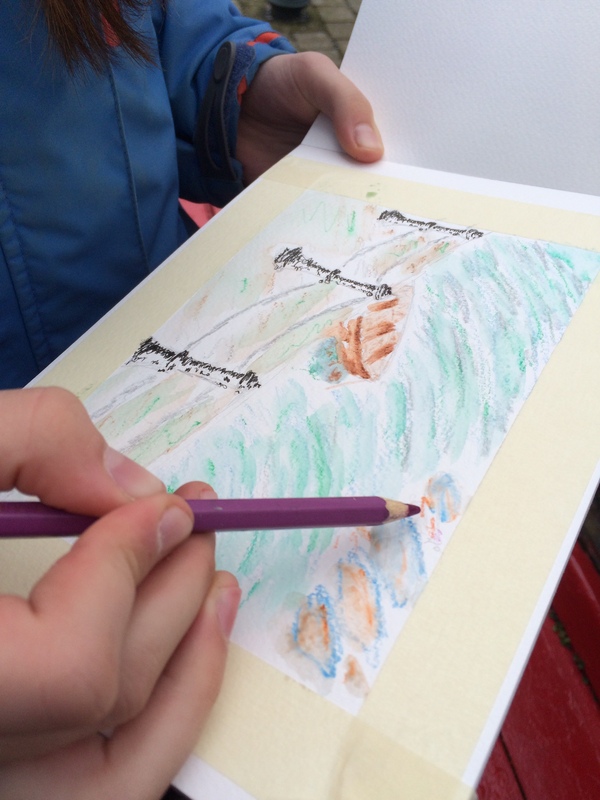 Weather affects drawings and this should be reflected! 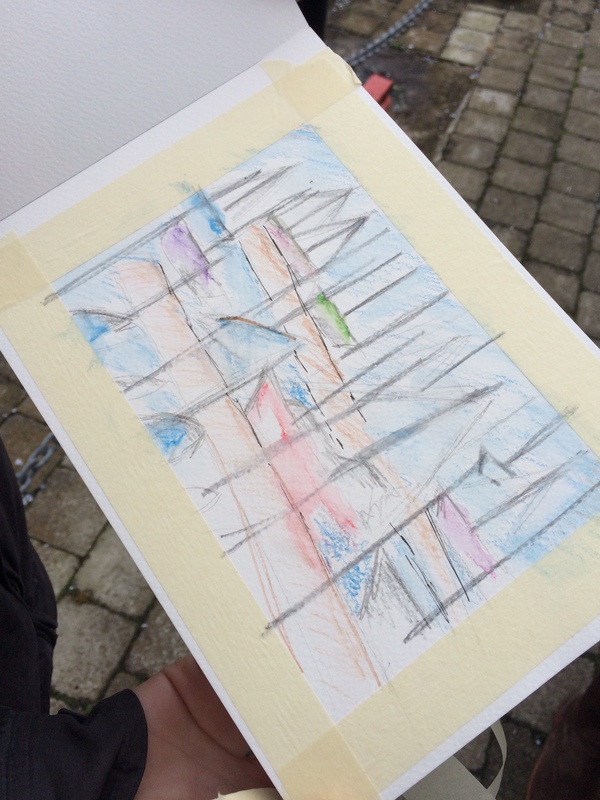 Sarah and DRAWING WALKS// are not deterred by rain! 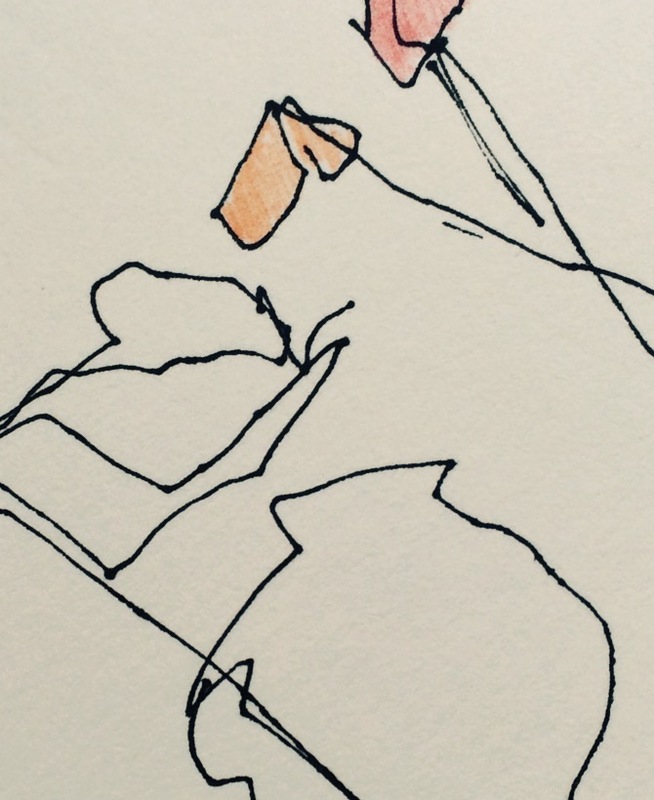 The aim is to experience the environment in a fuller, more mindful way. 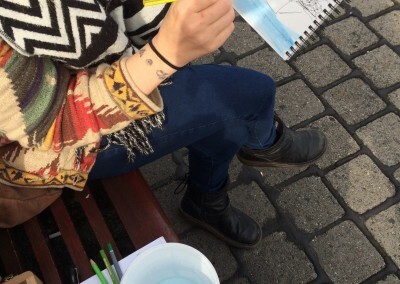 DRAWING WALKS// are priced at €25 per person and materials are included. For group bookings there is a minimum of 3 people per group. 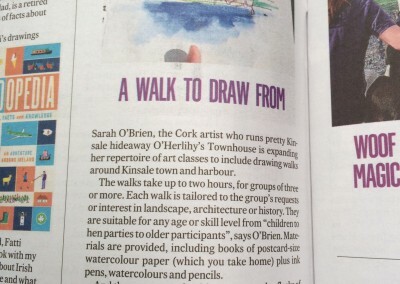 DRAWING WALKS// are based in Kinsale, West Cork and between June and September Sarah will have regular weekly walks in Kinsale town that people can join individually. For more information on routes and times please get in touch! 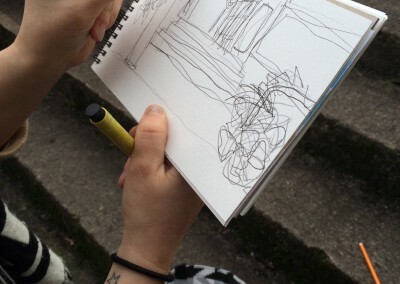 I joined Sarah on one of her Drawing walks a few months ago. .. 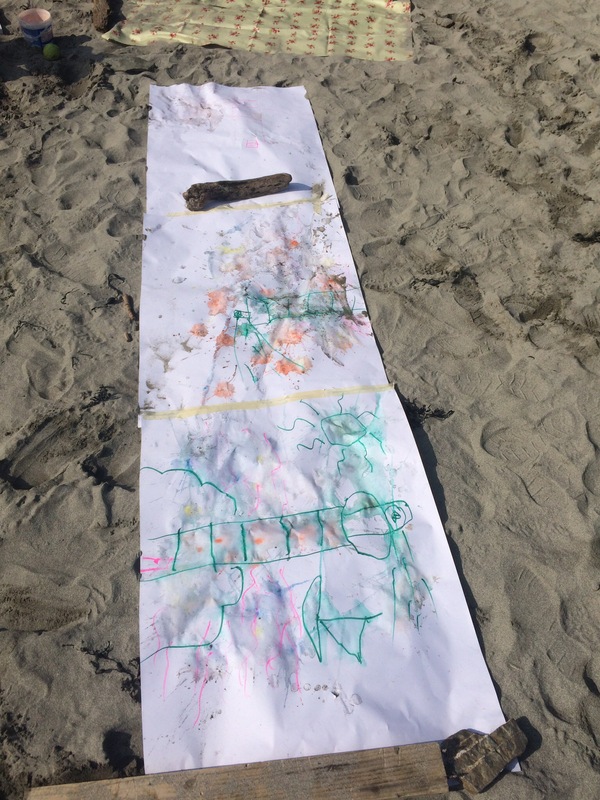 I enjoyed drawing in the past but with young children and work, I found I have no time to do this anymore. 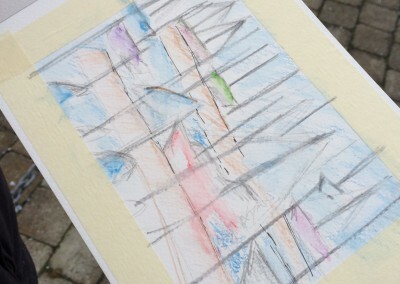 .. so when I did the Drawing walk I loved be able to just notice and be present. so I really enjoyed this time out and found it a great way to unwind. I would highly recommend this for anyone with a busy schedule. 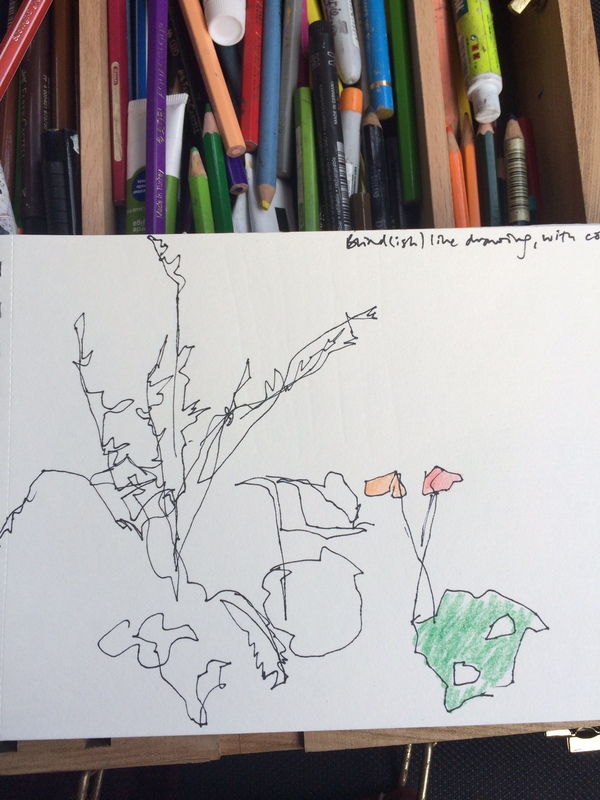 A great gift to give also…..
Sarah, thanks again for such a great morning of drawing and sketching with the girls…….. It’s 21.05 and they have sketch pads out drawing what they see….you’ve really inspired them. 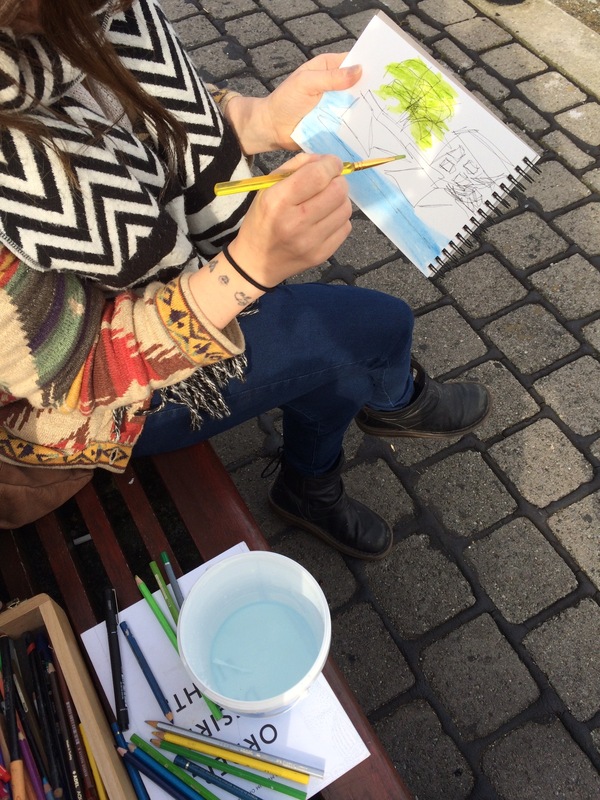 Annemarie, mother of a young DRAWING WALK participant 2016. 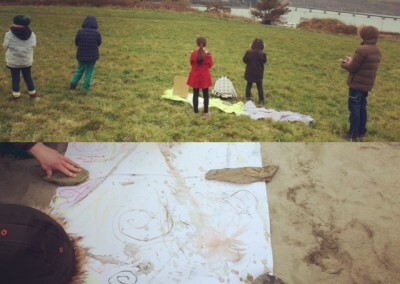 I whent on Sarah’s drawing walk at Easter. 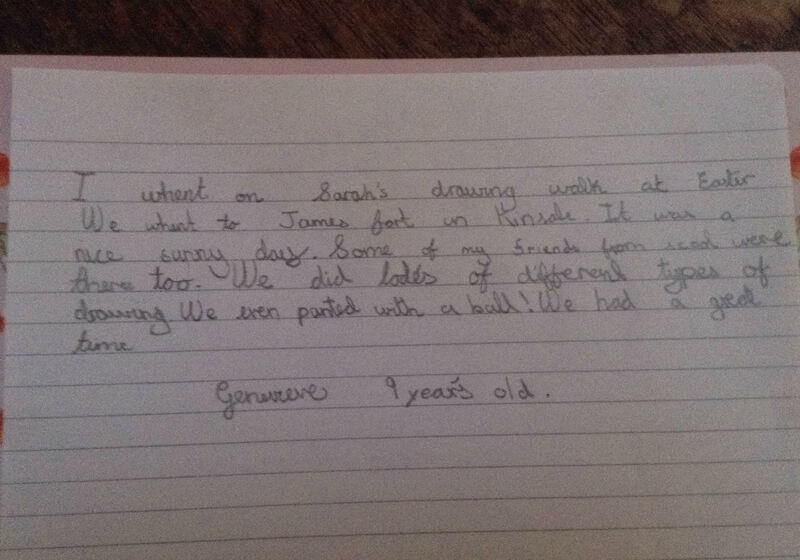 We whent to James fort in Kinsale. It wasa nice sunny day. Some of my firends from scool were there too. 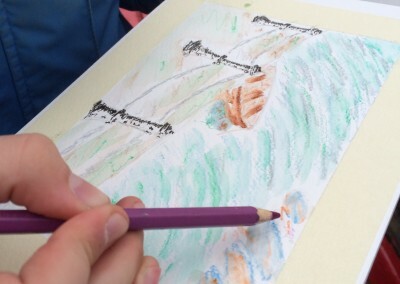 We did lodes of different types of drawing. 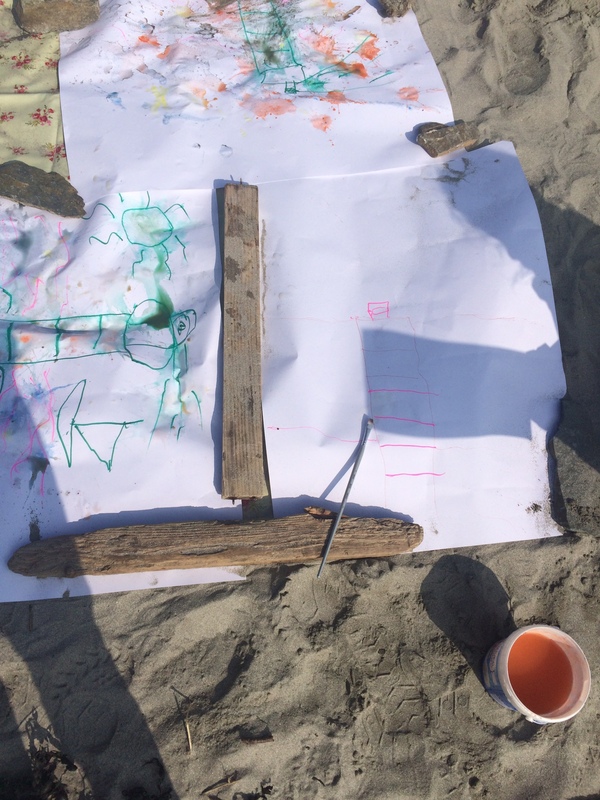 We even painted with a ball! We had a great time. 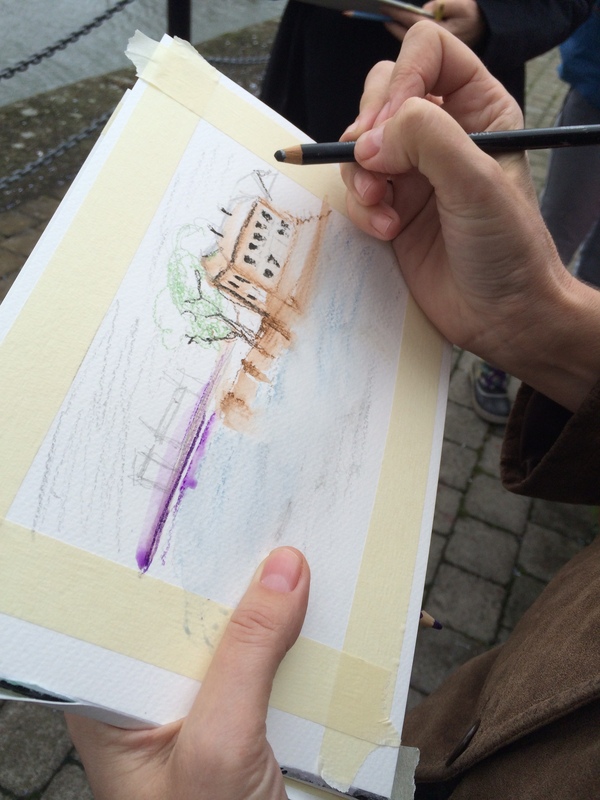 If you wish to book a DRAWING WALK// for a visiting group, a party or an event please contact Sarah.